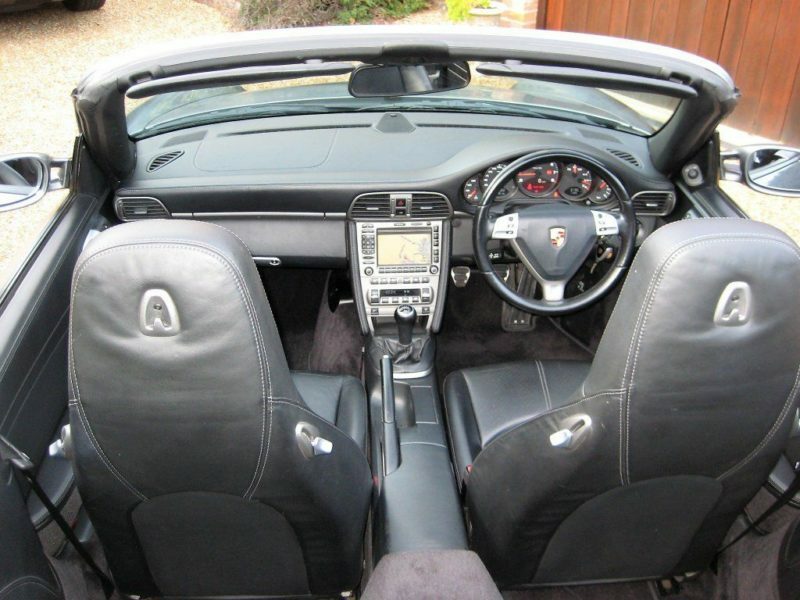 ONLY 56,000 MILES WITH 3 P/OWNERS FROM NEW. 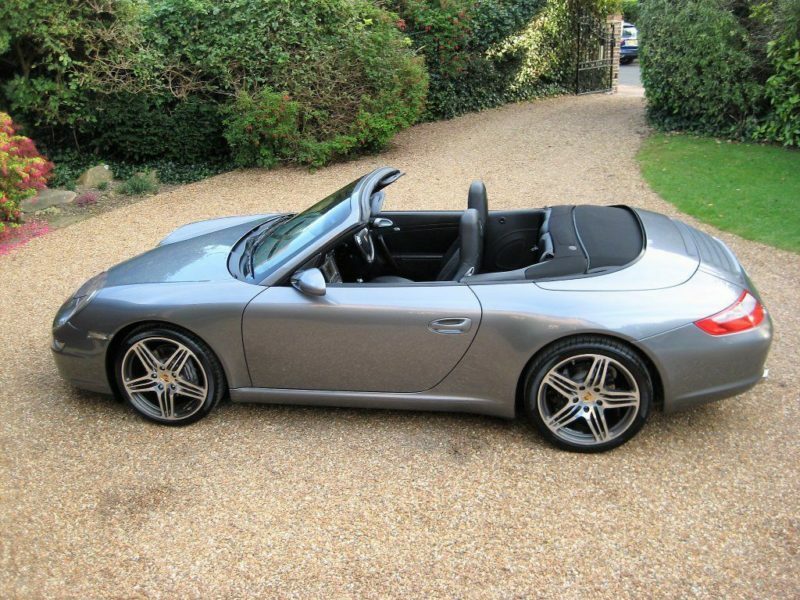 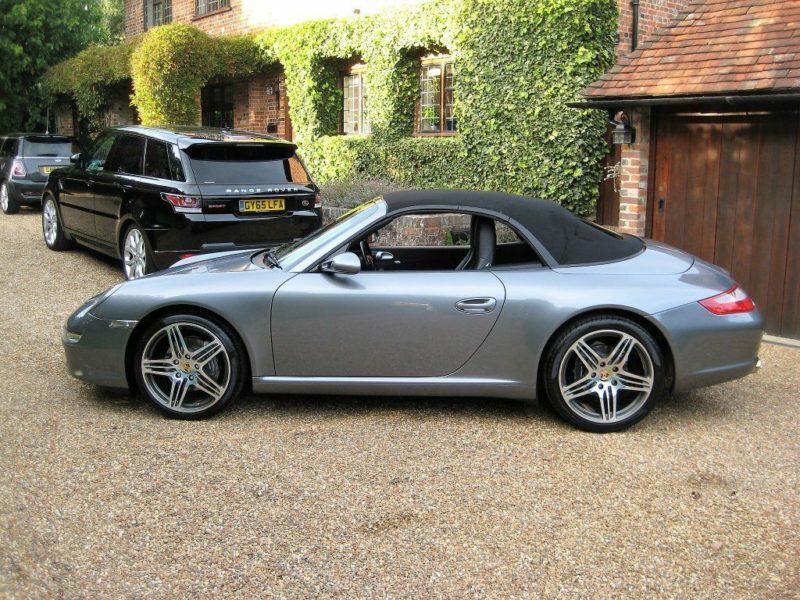 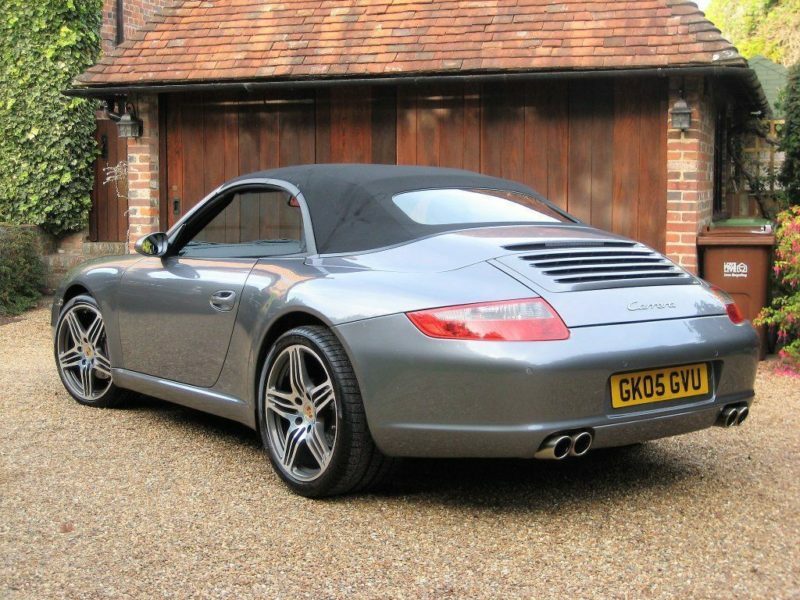 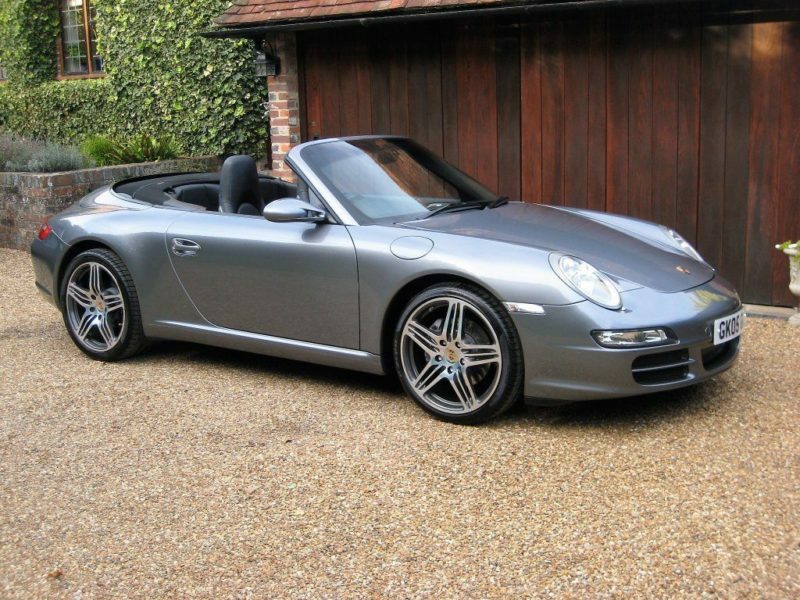 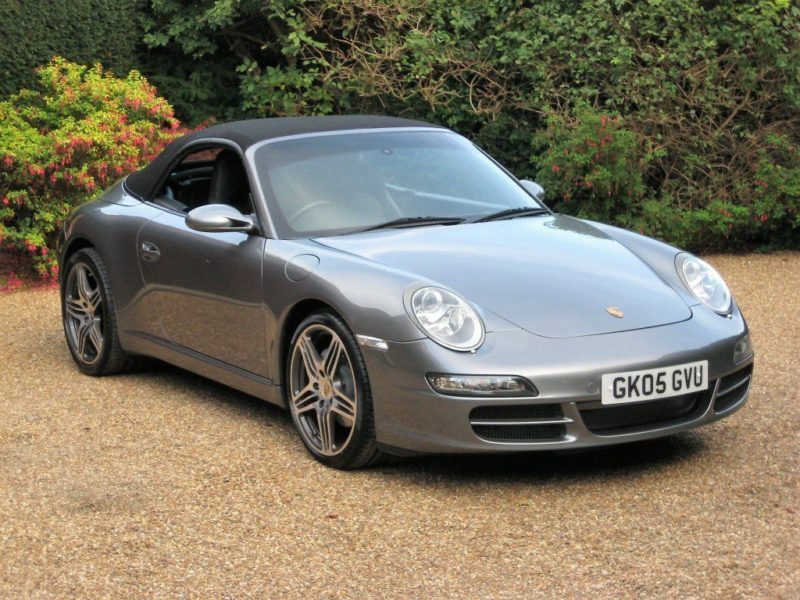 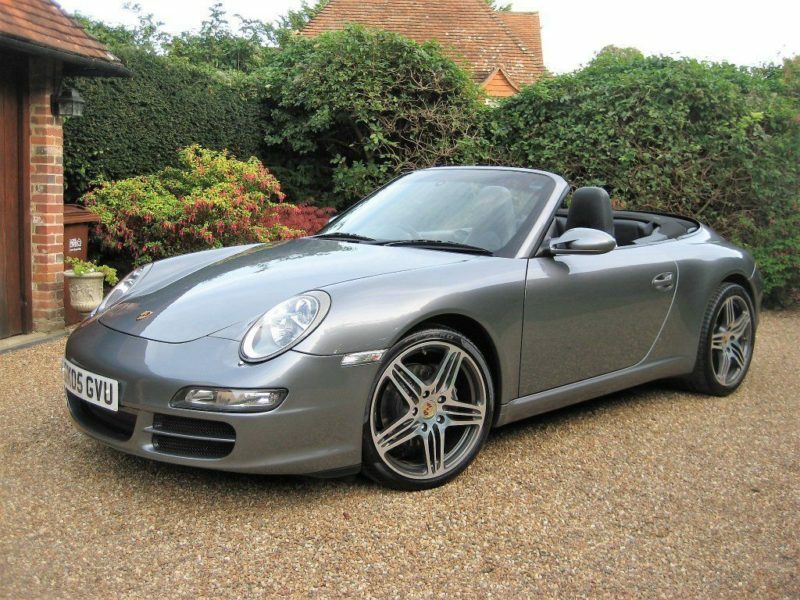 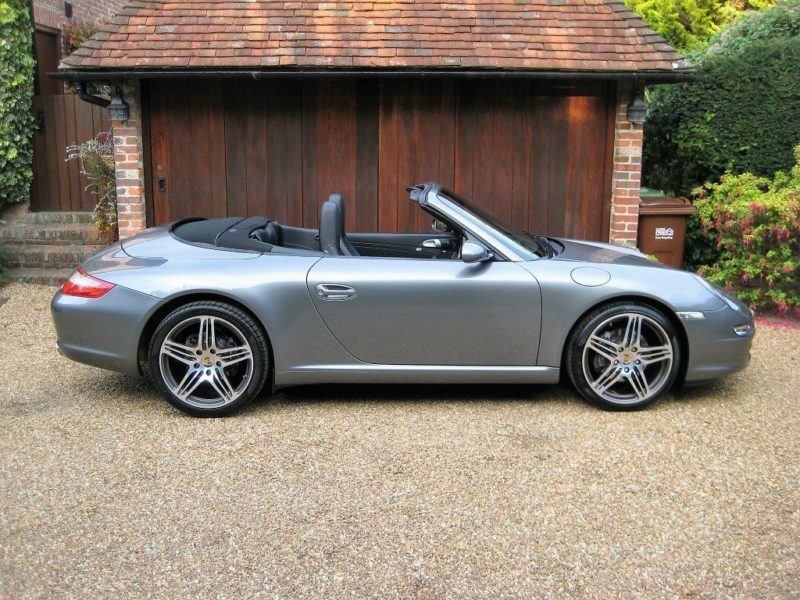 997 Carrera 6 speed manual convertible finished in Seal Grey metallic with full black leather. 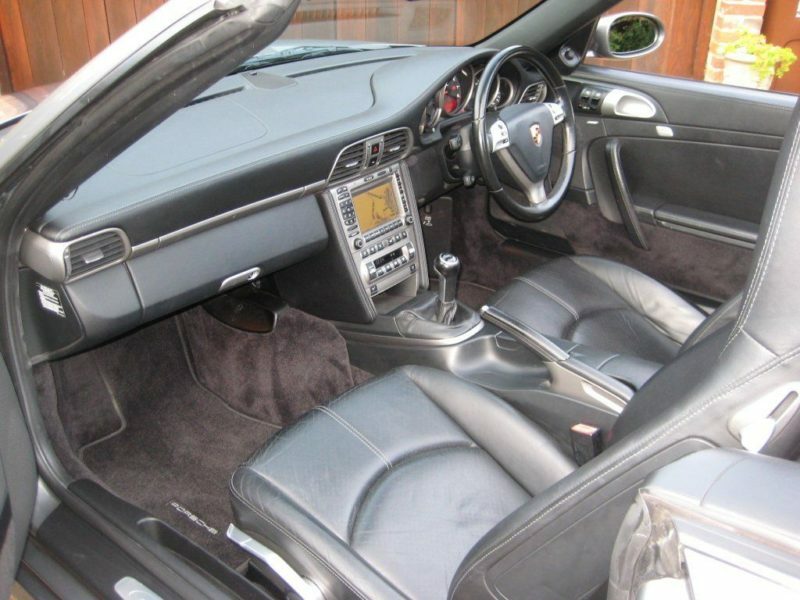 Optional specification includes PCM Satellite navigation module, telephone module for PCM, multi function leather steering wheel, BOSE sound system with 6 disc CD autochanger, heated seats, rear park assist, Xenon headlights with headlamp wash, wind deflector, totally unmarked 19″ polished turbo alloys with virtually new matching Pirelli PZero tyres, wheel centres with coloured Porsche crest, Dansk sports exhaust (sounds amazing! 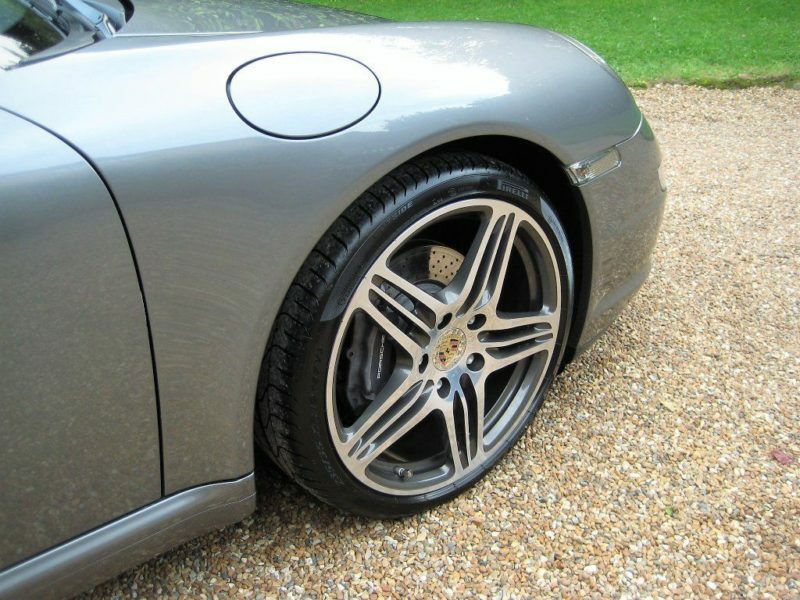 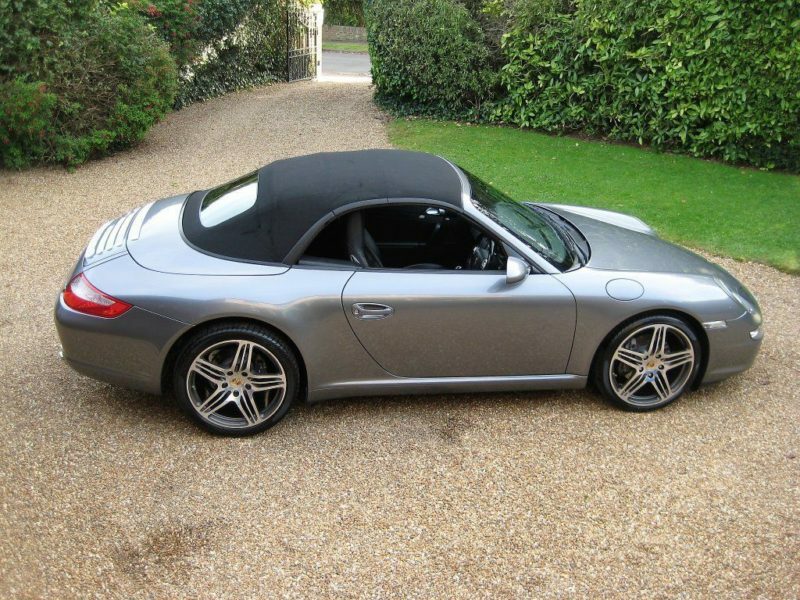 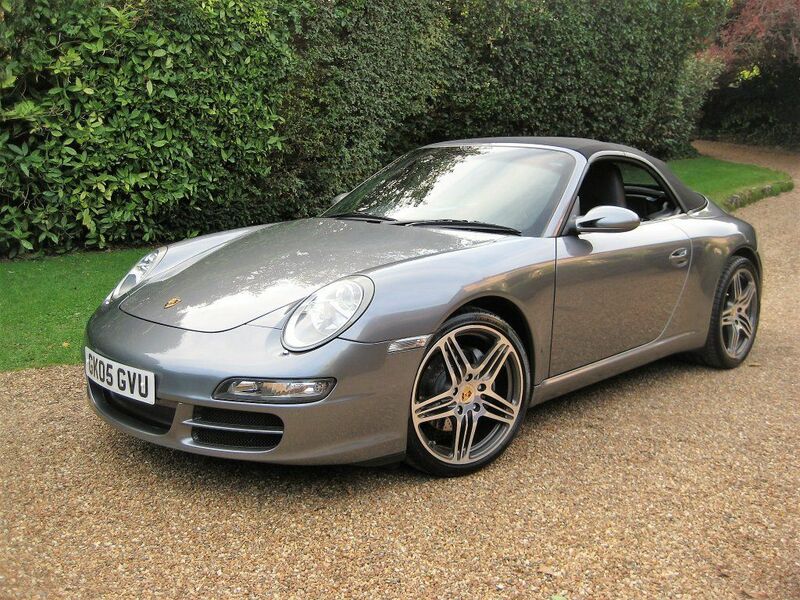 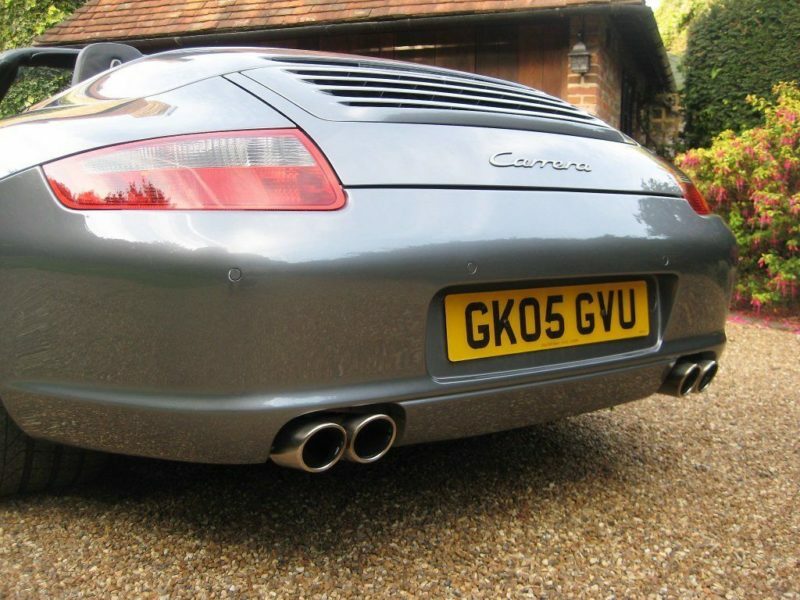 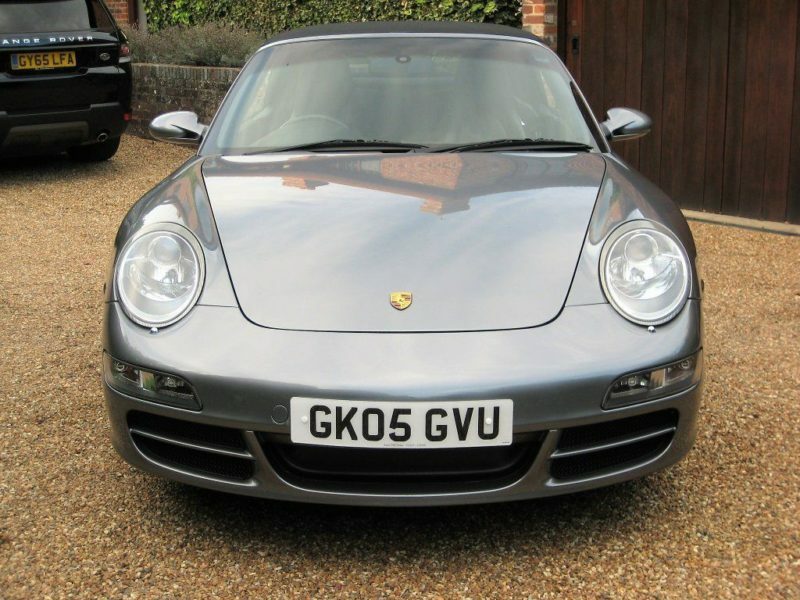 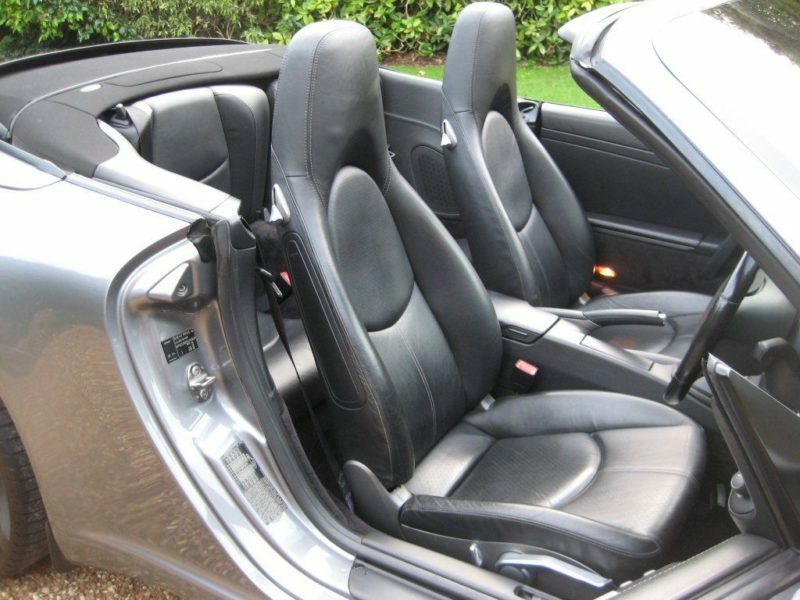 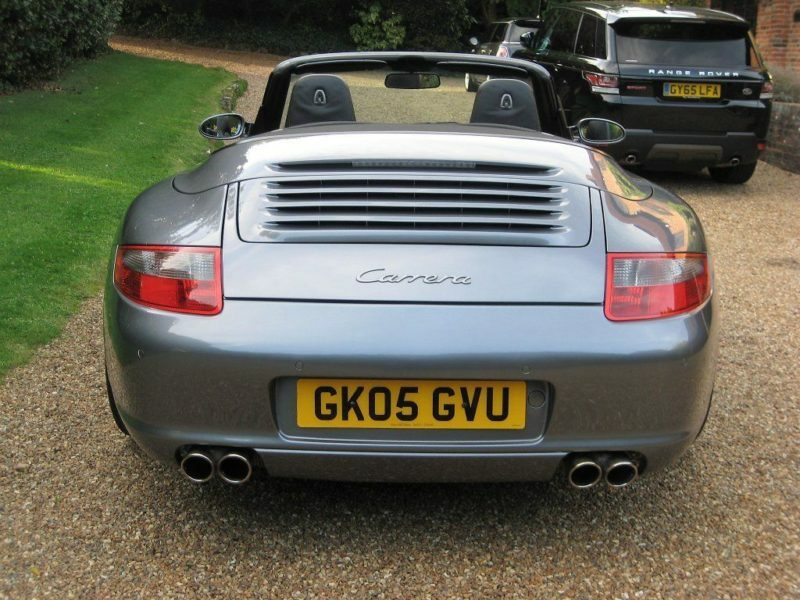 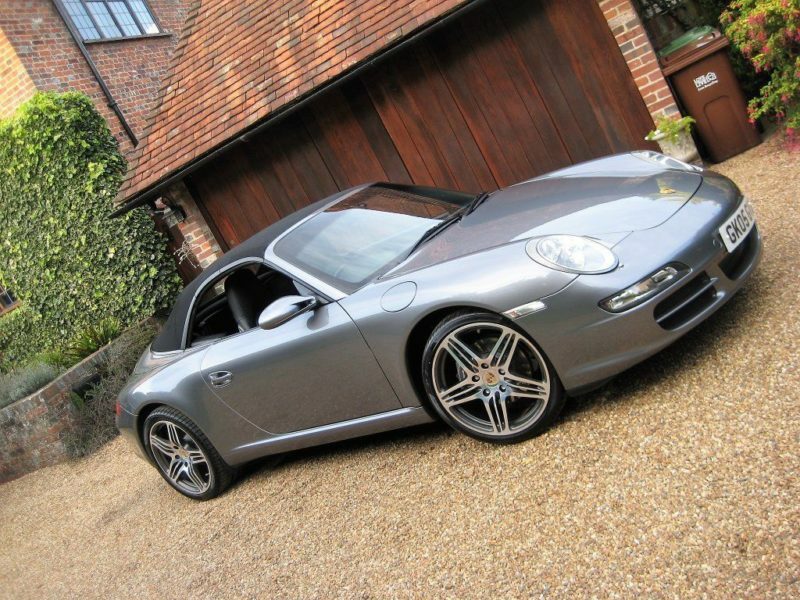 ), paintwork Gtechniq coated, fitted Porsche carpet mats etc. 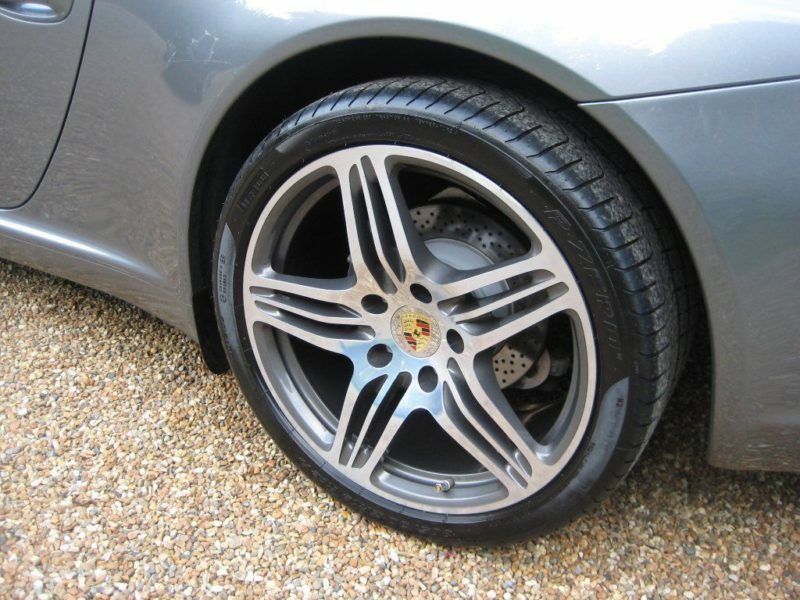 Supplied and fully serviced by Porsche Centre Chiswick London. 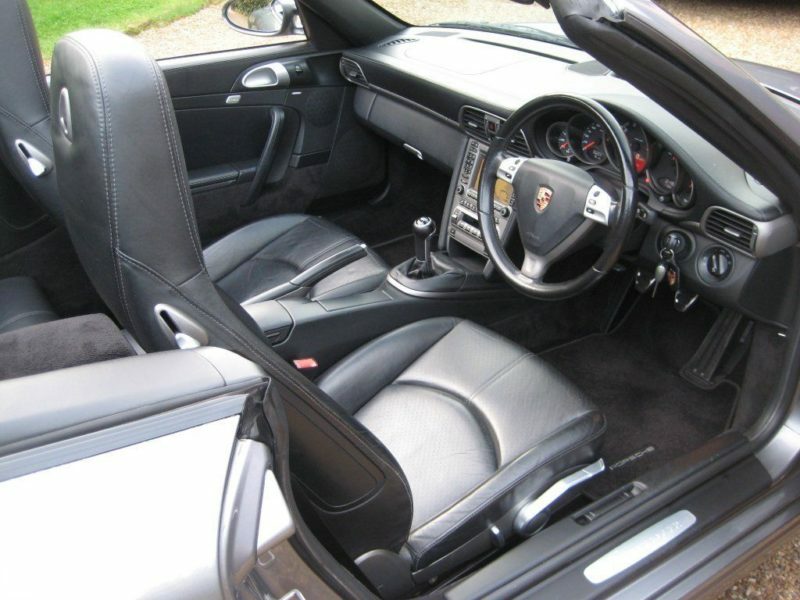 Having been serviced At 11,407, 18,887, 29,629, 39,824, 43,467 and more recently at 52,405 miles. 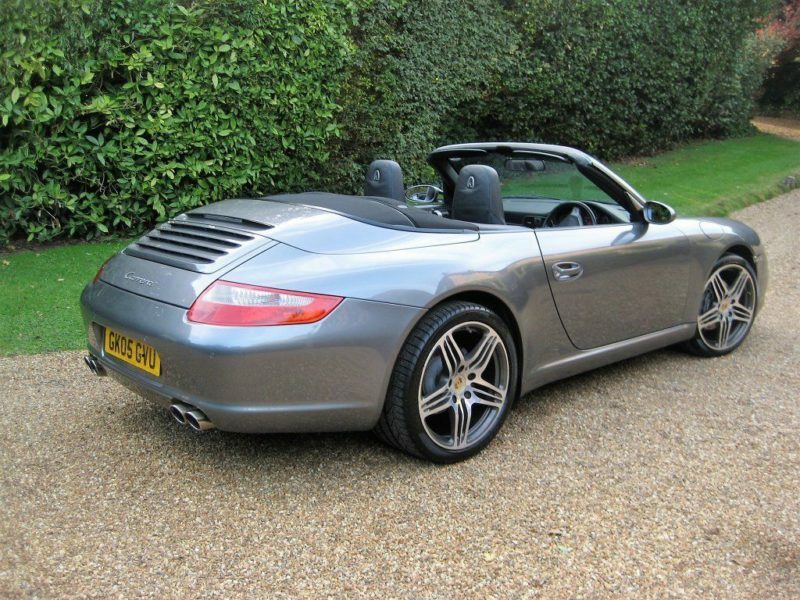 Complete with a fully documented history file containing all supporting service invoices from new, all previous MOT’s and any other relating paperwork + owners book pack & both remote keys.